Here are the top takeaways for indie artists, direct from this year's A3C Festival in Atlanta. Universally recognized as one of the most pertinent hip-hop events of the year, the latest edition of A3C—an abbreviation for All 3 Coasts—proved to be one of the more eventful and informative ones to date. Save for the chaos that erupted Sunday night when Lil Wayne closed out the festival, this was one of the greatest outings of A3C in its 14 year history. Where the conference was concerned, attendees were treated to a lineup of speakers that included Killer Mike, Cole Bennett, RZA, and Goodie Mob, among others, as industry tastemakers, budding artists, and aspiring music industry professionals all gathered for what many have dubbed hip-hop's family reunion. As instructional as it was entertaining, A3C provided ample opportunities for independent artists to leave downtown Atlanta with a sack full of priceless jewels in the form of years of industry experience and curated advice that could maybe one day propel them to the grand stage at the program's festival which was shared this year by acts like Wu-Tang Clan, The Diplomats, Trina, J.I.D., Curren$y, and Lil Wayne. If you didn't have a chance to attend, we were on the ground and taking notes. 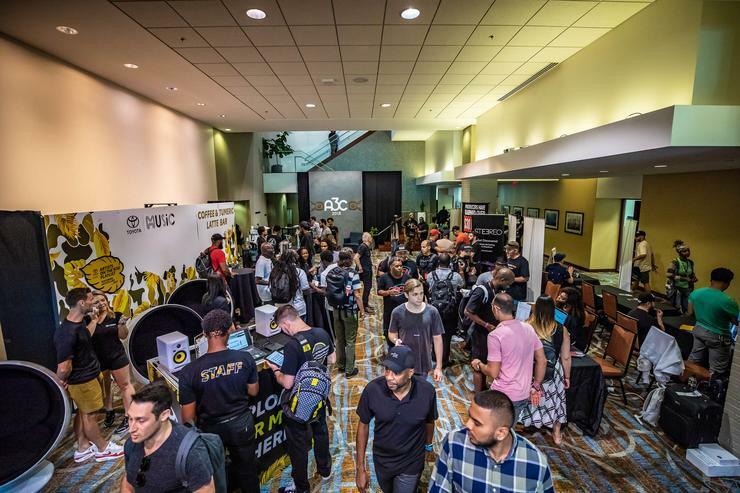 Check out some of the greatest takeaways for independent artists, pulled from this year’s A3C Conference. Aura Reyes, the founder of digital marketing agency, The Digital Plug, stressed the importance of perfecting your image without compromising your creativity. She confirmed that a major key involves the process of cleaning up your social media presence, being consistent in reaching out to blogs and curators, and making sure that your visual presentations—music videos, artwork, etc.—are always up to par. “When you care about your personal brand, others will want to work with you,” she adds. These words arrived courtesy of Chaka Zulu, known for his work with Ludacris, Disturbing Tha Peace, andCulture Republic. Chaka delivered a message in which he explained that “the struggle” is inevitable. But ultimately, it’s your choice if it happens to make you or break you. The key is to keep going. This was a recurring topic that came up across most panels this year at A3C. It’s important for new artists to continuously regard themselves as a brand, and with that, they must be able to express that brand whenever prompted. A prime example of this came from Michael Howard, associate brand marketing manager of the NBA’s 2K brand, who told the story of how Travis Scott was the one who reached out and set up a meeting to pitch on why he would be a great choice to curate the "NBA 2K19" soundtrack.